As Remembrance Day gets closer, a new song honoring the armed forces has been released. 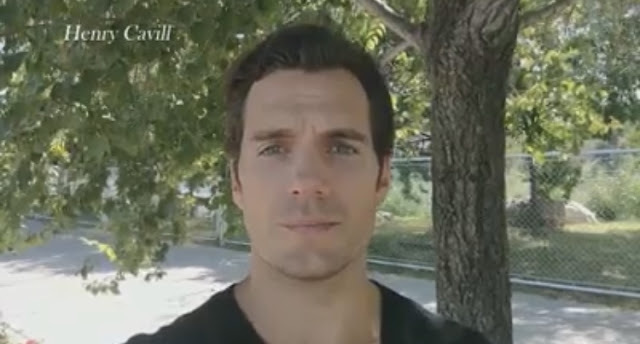 It's called "The Hero," and features thank you messages from several stars including Henry! The project's organizers hope to raise funds for Help for Heroes. Henry comes in at about 5:15. We're not surprised Henry got involved. He's been supporting service men and women as ambassador for The Royal Marines Charity since 2014. Learn more about the fundraiser and how you can donate at The Hero's Just Giving page. Just getting a big blank instead of the video -- or is that just my browser? So finely done, and so moving. But why didn't he sing? He's got such a fine, clear voice. Next year he should sing. Nicely done for the armed services. I always thank our current and former military men and women. I'd like to thank Great Britain's as well. We have been great allies for years. So, my hat is off, I'm playing your national anthem in my mind and I want to thank all of your men and women in the armed services who have fought for years beside the States. "Thank you"